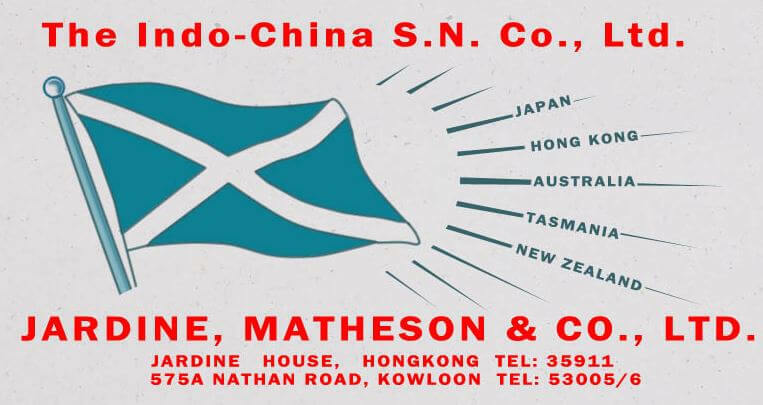 HF: The Indo-China Steam Navigation Company Ltd (ICSNC), was established in 1873 as a subsidiary of Hong Kong based Jardine, Matheson & Co.
With the advent of steam, Jardines became concerned that it might lose its former advantage in operating fast clippers. As a result, the company became seriously involved in steamships in the mid-1850s servicing the Bengal – China trade. Regular services up and down the coast, with occasional diversions to Japan, were implemented around the same time. 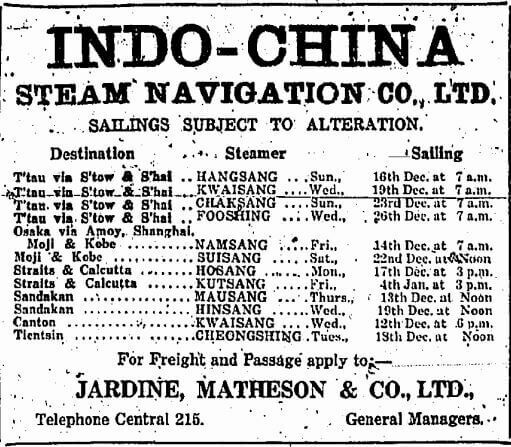 Jardines established the China Coast Steam Navigation Co. (CCSNC) in 1873, which operated between Chinese ports and Japan. 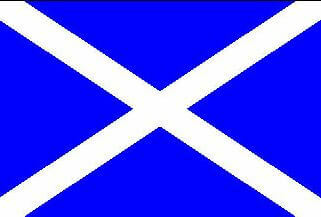 ICSNC was floated on the London Stock Exchange in 1881 with a capital of £449,800. The new company amalgamated the group’s river, coastal and cargo interests, taking over CCSNC’s coastal fleet and sending ships to Singapore, Calcutta and Vladivostock. 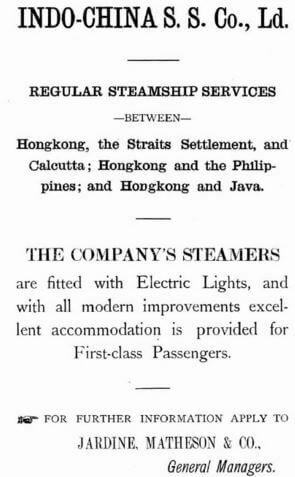 In 1885, a new service from Hong Kong to Manila began operating. In the early 20th century, more than half of all the ships on the Yangtze River were owned by ICSNC and their arch rivals Butterfield and Swire. British investment in the Yangtze Valley, including Shanghai had reached over £200,000,000 by the 1920s. This was almost equal to the amount invested in the whole of British India at that time, and significantly more than British investments in Africa. Trade flourished until the end of the Second World War when the 1943 British–Chinese Treaty for the Relinquishment of Extra-Territorial Rights in China shut down the Yangtze River trade and routes between the Chinese coastal ports. In response, ICSNC diversified into the China — Australia trade. Post-WW2 passenger voyages between the Far East, Straits and Bay of Bengal was abandoned at the end of 1955 and in the same year, Auckland became a port of call on the Australia route. Between November 1960-April 1961 Eastern Argosy and Eastern Star were plying the Hong Kong, Brisbane, Sydney, Melbourne, Wellington, Auckland route returning via Melbourne and Sydney to Hong Kong. The Eastern Glory and Eastern Trader operated between Hong Kong, Sydney, Melbourne and Adelaide. This article was first posted on 7th April 2016.